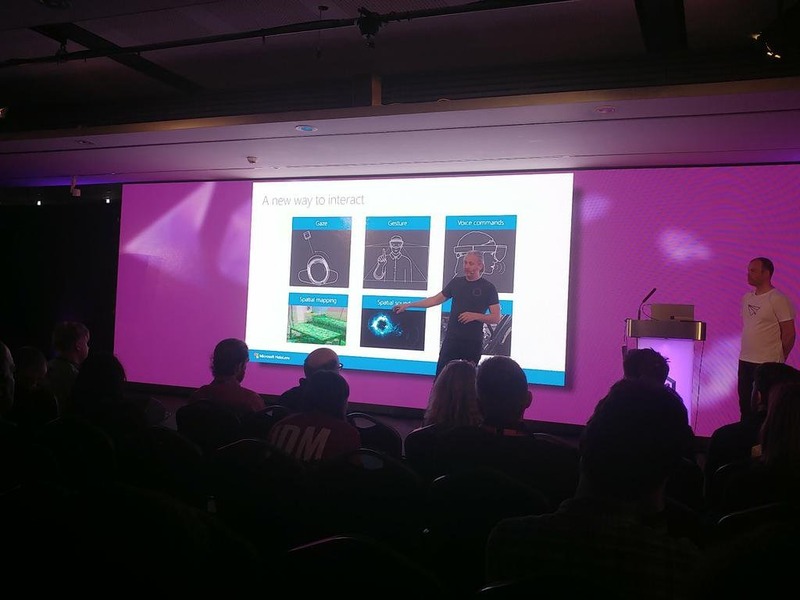 Back in 2016 at the Microsoft Future Decoded event I gave the first HoloLens developer talk in the UK. This was an exciting time for me personally as was the culmination of many years of working on software engineering and 3D graphics. Where I wasn’t so expert was in the field of public speaking but that was the area where I was looking for personal growth. It is easy to fall into the trap of watching accomplished speakers and thinking that this sort of thing comes naturally. In general it is the culmination of years of honing a craft and not to be under-estimated and when you add into the mix complex technical subjects and live coding the difficulty level goes up but the real ‘craft’ is reading and responding to your audience. 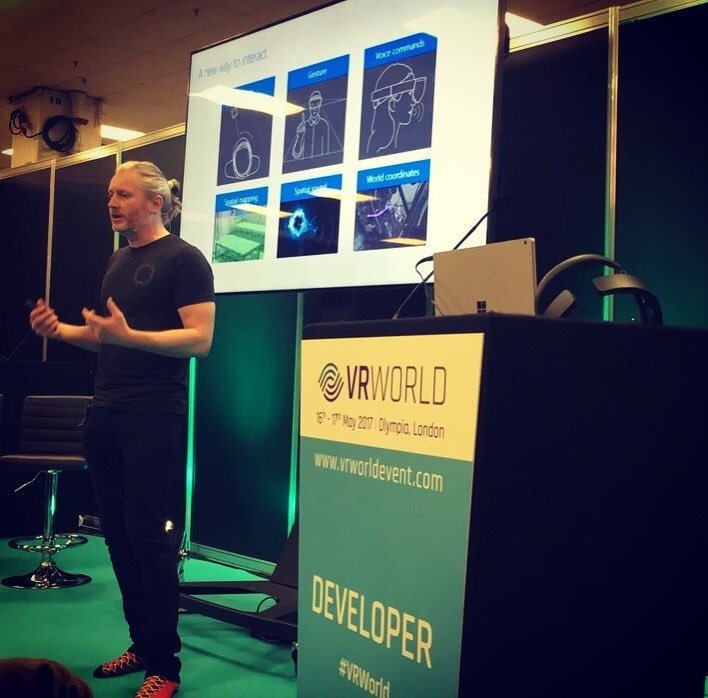 I have given many talks since then ranging from tech meetups, universities and most of the VR/AR conferences in the UK. It was not until fairly recently when I gave a talk that I finally felt that I had earned the right to be on the stage because I learned a lot about connecting with groups of people. My advice to anyone wanting to develop in this area would be to practice religiously, know your subject and mix with colleagues who have these skills. I was fortunate enough to have great colleagues who I have learnt a lot from at Microsoft. A particular shout out to Mike Taulty as we have worked together a lot on Mixed Reality evangelism. Here we are at VR World Congress. Anyway the reason for this post is that I discovered the recording from Future Decoded on my local disk and decided to publish it as a personal milestone and it still has topics that are relevant although the mixed reality toolkit used in the demo is somewhat out of date now.